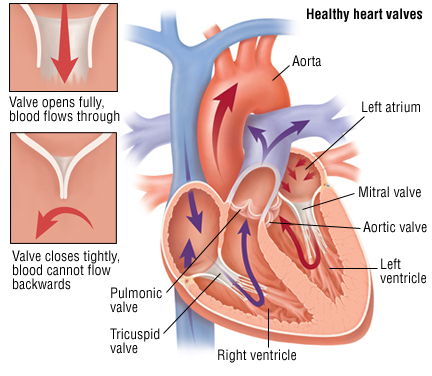 Sometimes a natural heart valve that is not working properly needs to be replaced surgically with a prosthetic valve. A prosthetic valve is a synthetic or tissue substitute for the natural valve. It is designed to mimic the natural valve's normal opening and closing motions. A prosthetic valve can replace any of the heart valves – mitral, aortic, pulmonary or tricuspid. Prosthetic heart valves are divided into two basic categories: synthetic mechanical valves and biological valves made of human or animal tissue. Mechanical ValvesSeveral different forms of mechanical valves are approved by the U.S. Food and Drug Administration (FDA) for use in hospitals in the United States. The different types vary in the mechanisms they use to open and close the valves.